Our Director of Curriculum and Implementation, Gregg Stone was at Bugg Elementary School in Raleigh, NC last week. This STEM Magnet school is driven by the Design Thinking Process, providing students with a variety of tools and curricula to help them understand and appreciate the importance of developing vital and transferable skills (commonly called “soft” skills) like creativity, problem-solving, cooperation, and more. A natural byproduct one would hope to see catch hold is an interest in developing a sense of entrepreneurship. 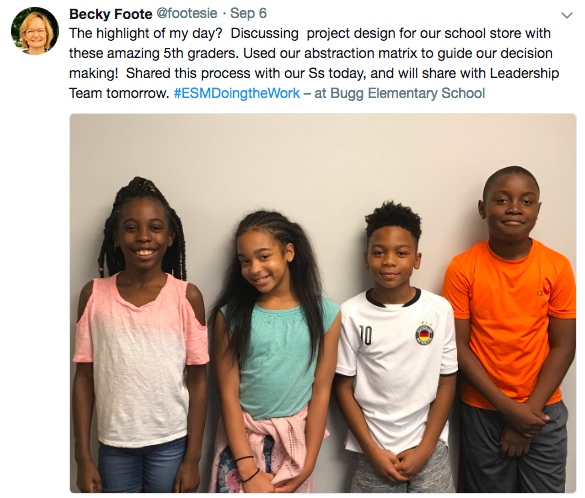 Check out what this entrepreneurial group of fifth-graders is up to now with their School Store app. Our VP of Sales, Kimberley Bynoe, had the opportunity to represent MAD-learn during the K-8 STEM Investment Innovation Lab. The event was hosted earlier this month by STEMconnector along with the CME group. Students are asked to problem solve all the time, but this was a unique experience for business leaders to do so in the STEM space. The question of the day was “What limits corporations and foundations in funding STEM in the K-8 space?” Participants included senior officials from various corporations, including familiar ones like Walmart, Verizon, Boys and Girls Clubs as well as the CME group–the world’s largest futures and derivative group. The six-hour discussion and many of the answers centered on research and data, how foundation leaders can report back to their CEO’s that their funds are actually making a difference in student’s lives and can be replicated by district funds. Kimberley’s favorite part was meeting discussion leader Erin White, Senior Director for Product Development & Research at STEMconnector, where she leads efforts to produce actionable insights for members and the field through the research and analysis. She is actually doing research on the question and is compiling the evidence. If you have thoughts feel free to send them to us so we can share with Erin. Organization and dedication are two of the most important qualities a teacher can possess. Few can match the level in these areas with Alisa McCollum, IT Coach at Bugg Magnet Elementary in Raleigh, NC. She understands her students’ needs, keeps everyone in line, and works with her colleagues to create unique and well-designed projects. 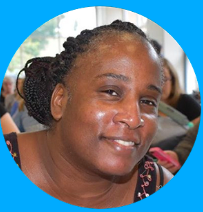 Our work with her and the staff at Bugg has been rewarding and informative, largely due to the tireless effort she puts into pushing her students to become the best they can be. Alisa is at once affable and outgoing in social settings, and she is determined when working with both students and fellow teachers. As we have mentioned in the past, success of programs like MAD-learn is driven by the point person(s) at our partner schools. The program goals, the students, and the teachers are all in good hands, thanks to Alisa! …following the BUZZ on social media! We love hearing from you and sharing stories of amazing work that is happening around the world with STEAM innovations in the classroom. Follow us on Twitter, Facebook, or LinkedInto hear from other teachers and be the first to get updates on what’s new with MAD-learn. 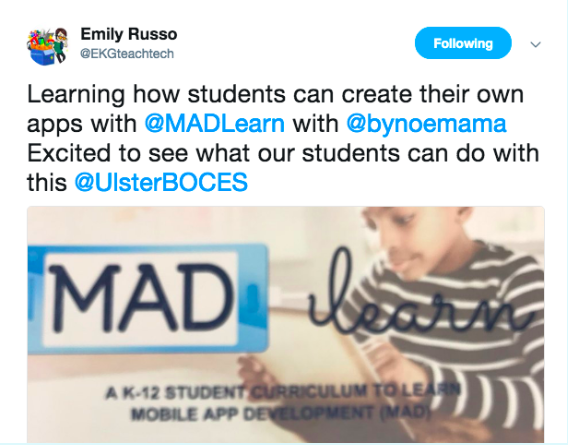 And don’t forget to tag us @MADlearn when you share your MAD-stories!